A candid and nostalgic father-son memoir by Dale Berra, providing a unique perspective on his legendary Hall of Fame dad, the inimitable and highly quotable Yogi Berra. Everyone knows Yogi Berra, the American icon. He was the backbone of the New York Yankees through ten World Series Championships, managed the National League Champion New York Mets in 1973, and had an ingenious way with words that remains an indelible part of our lexicon. But no one knew him like his family did. 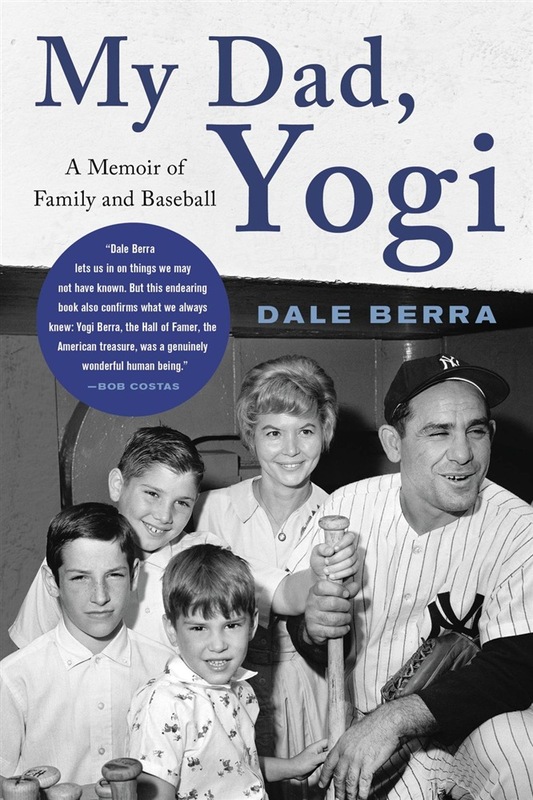 My Dad, Yogi is Dale Berra's chronicle of his unshakeable bond with his father, as well as an intimate portrait of one of the great sports figures of the 20th Century. When Yogi wasn't playing or coaching, or otherwise in the public eye, he was home in the New Jersey suburbs, spending time with his beloved wife, Carmen, and his three boys, Larry, Tim, and Dale. Dale presents--as only a son could--his family's history, his parents' enduring relationship, and his dad's storied career. Throughout Dale's youth, he had a firsthand look at the Major Leagues, often by his dad's side during Yogi's years as a coach and manager. The Berra's lifelong family friends included Joe DiMaggio, Mickey Mantle, and Whitey Ford. It's no coincidence that all three Berra sons were inspired to play sports constantly, and that all three became professional athletes, following in their dad's footsteps. Dale came up with the Pittsburgh Pirates, contributing to their 1979 championship season and emerging as one of baseball's most talented young players. After three strong seasons, Dale was traded to New York, briefly united with his dad in the Yankee dugout. But there was also an extraordinary challenge developing. Dale was implicated in a major cocaine scandal involving some of the biggest names in the sport, and his promising career was ultimately cut short by his drug problem. Yogi supported his son all along, eventually staging the intervention that would save Dale's life, and draw the entire family even closer. My Dad, Yogi is Dale's tribute to his dad--a treat for baseball fans, and a poignant story for fathers and sons everywhere. Acquista My Dad, Yogi in Epub: dopo aver letto l’ebook My Dad, Yogi di Dale Berra ti invitiamo a lasciarci una Recensione qui sotto: sarà utile agli utenti che non abbiano ancora letto questo libro e che vogliano avere delle opinioni altrui. L’opinione su di un libro è molto soggettiva e per questo leggere eventuali recensioni negative non ci dovrà frenare dall’acquisto, anzi dovrà spingerci ad acquistare il libro in fretta per poter dire la nostra ed eventualmente smentire quanto commentato da altri, contribuendo ad arricchire più possibile i commenti e dare sempre più spunti di confronto al pubblico online.